welovepictures decided it's time for some good ol' advertising, hence the face-lift and re-branding. Up until now most of our work has come via our website or word of mouth from bragging-bubbly-brides via our awesome father. The Little Pink Book is really actually quite super cute. 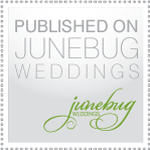 It is small enough to fit into a handbag and filled with tons of awesome info - not the usual corny wedding-ish stuff! Otherwise we wouldn't be in it :P It's handy for making notes, re-scribbling budgets and then of course everything a bride might need to know to plan her day. The Western Cape and Gauteng 2010/11 issues will be on sale from September and you can buy a copy directly from their site or from Kalahari, Exclusive Books and even Woolies too. Pretty nifty hey? We thought so too.